A trie node should contains the character, its children and the flag that marks if it is a leaf node. You can use the trie in the following diagram to walk though the Java solution. // Returns if the word is in the trie. // that starts with the given prefix. 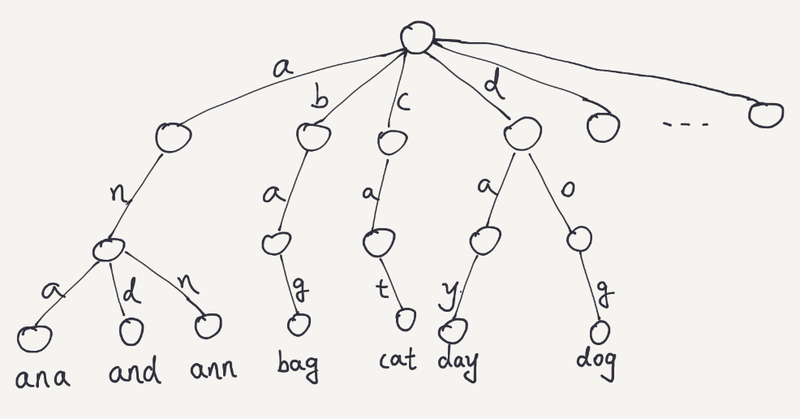 Each trie node can only contains 'a'-'z' characters. So we can use a small array to store the character. If the same words can be inserted more than once, what do you need to change to make it work? to find whether there is a next word (link) to the trieNode. What is the use of keeping char c in TrieNode class? It marks the leaf, i.e.- Word ends here from root . What are the numbers in blue next to each node? I meant it create the tree iteratively not recursively. In the above diagram how would a word “tennis” fit in, we already have “ten” and n is the leaf node. simply insert “$” + key in that case..